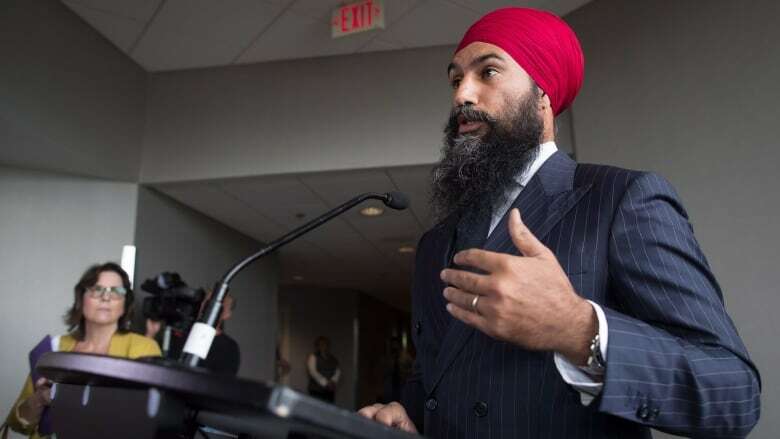 NDP Leader Jagmeet Singh said Tuesday he will not reverse his decision to kick federal MP Erin Weir out of the party over allegations of harassment, dismissing a call by 68 Saskatchewan NDP politicians to have him reinstated as the work of “privileged” people trying to “intimidate” him. NDP Leader Jagmeet Singh said Tuesday he will not reverse his decision to kick federal MP Erin Weir out of the party caucus over allegations of harassment, dismissing a call by 68 Saskatchewan NDP politicians to have him reinstated as the work of "privileged" people trying to "intimidate" him. "I want to make it clear, I stand by my decision. My decision is final. I think it is very important that we take a stand, that I take a stand as leader to make sure that we ensure, that I ensure a safe workplace. And so I stand by my decision," he said at the start of a three-day NDP caucus retreat in Surrey, B.C. "I am not going to change my decision because people of a position of privilege want to intimidate me to change that. My decision is final and I am not changing that." "And I'm saying, listen, I've made a decision to ensure that I've got a safe workplace. I believe in that. It's important to do that." Last week, former Saskatchewan NDP provincial cabinet minister Pat Atkinson became one of dozens of former seat-holding party members in the province to defend Weir publicly, saying the Regina MP deserves another shot. A letter signed by a group of 68 former NDP MPs and MLAs criticized Singh's handling of the situation, accusing him of flouting proper procedure and acting on "hearsay." It said Weir had sufficiently convinced his trainer that he now "gets it" and had made efforts to apologize and make amends to those affected by his actions. "A fair and objective examination of the details involved simply does not support either the leader's characterization of the conduct complained of or the extreme harshness of the public shaming and banishment deemed by the leader to be fair and appropriate responses," reads the letter. Upon learning of Singh's claim of intimidation, Atkinson told CBC News that she was disappointed with the leader's comments and his refusal to reverse his decision. "Obviously, I am disappointed that he would say this. I will say this, that all of us in Saskatchewan that live on treaty territory know that we are privileged, and I am talking about people who are non-Indigenous," Atkinson said. "We are having a difference of opinion within the party and when you have a difference of opinion you should be able to discuss it and you should be able to ask a leader to revisit a decision. And that's what we're simply asking him to do." Atkinson said the letter was sent to Singh's office in May and, as far as she knows, no one from her group released the letter to the media. Alberta's United Conservative Party Leader Jason Kenney was quick to needle Singh over his comments today. Kenney posted on Twitter an excerpt of a story from Toronto Life magazine in which Singh talks about owning Rolex watches and bespoke suits, and asked who the NDP leader is calling "privileged." The NDP said the third-party investigator hired to look into allegations of harassment by Weir found one claim of harassment and three claims of sexual harassment against Weir were sustained. The report, which was not released publicly, defined the sexual harassment claims as acts of a sexual nature "that might reasonably be expected to cause offence," a statement from the NDP said at the time. In his own statement at the time, Weir said the investigator found that he probably sat or stood too close to people at social events and tried to talk to them when they didn't want to talk. The public conflict between Singh and Saskatchewan New Democrats is just the latest bit of bad news the party is bringing into its caucus retreat. The party's annual financial return, filed with Elections Canada, shows it finished 2017 with a deficit of $3.1 million dollars. To run a competitive election campaign, federal parties generally need approximately $40 million dollars. The NDP's support has also been dropping. Recent polls show they are at about 17 per cent, down 3 points from the last election. CBC News polling analyst Eric Grenier said the big problem for the party is in Quebec. "The NDP has 16 seats in Quebec so it is its largest block within its caucus. So it needs those seats again if it's going to be competitive in the next election." After the Orange Wave under Jack Layton's leadership in 2011, the NDP held 58 of the 75 seats in the province. Grenier said the NDP now risks being nearly eliminated in Quebec. In the recent by-election in Chicoutimi-Le Fjord, the NDP got less than 10 per cent of the vote in a riding the party held from 2011 to 2015. A number of veteran Quebec MPs have also announced they will not run in the 2019 election, including Helene Laverdiere, Romeo Saganash and former leader Tom Mulcair. The Journal de Montreal recently reported that four other Quebec MPs are also considering not running again.